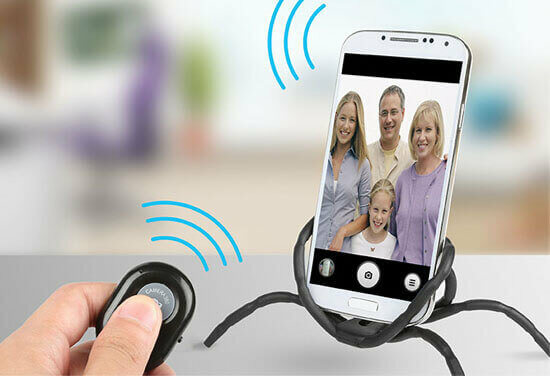 Simple and easy use, shutter remote control for Android and IOS devices. 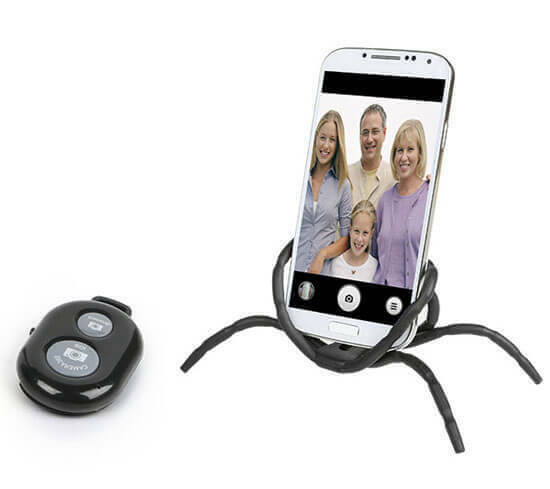 With this pocket-sized Bluetooth remote shutter and spiderpodium, you'll be able to place your Android or iOS smartphone or tablet within Bluetooth range to take amazing pictures of you and your friends. Pair your device with the Bluetooth remote shutter and enjoy breathtaking pictures and long lasting memories. 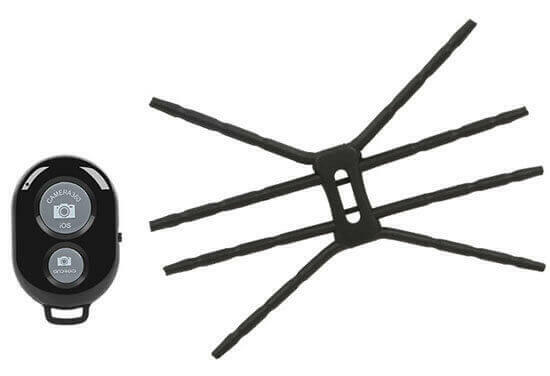 A unique kit that allows you to take photos alone or in a group. Suitable for any environment, able to level out your device on uneven surfaces. Flexible spider podium allows you to choose the perfect angle and take unique photos. 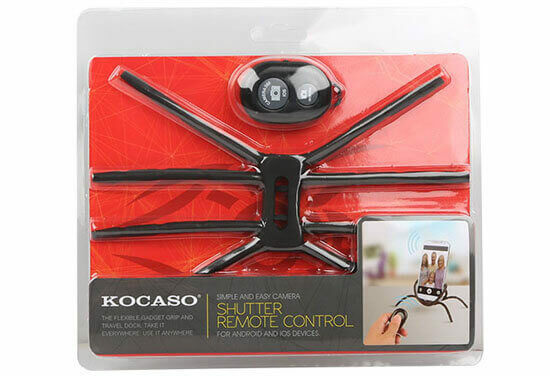 • Warranty Length: This product comes with 1 Year parts and labor warranty by KOCASO. • Coverage: This warranty covers repair or replacement of defective product. • For a Free Copy of the Warranty, Please Contact Us. If you have any question about our warranty policies, please contact us. • Please make the payment within 7 days after winning the auction. Order not paid in 7 consecutive days will be cancelled automatically without notice. • All sales are final, Warranty provided via advertised warranty provider. Seller will assist with replacement/return only if item is defective within the warranty conditions unless otherwise stated under the return/refund policy. • The seller will ship to a confirmed PayPal address within 48 business hours of confirmed payment. If a non-confirmed paypal address is provided, shipment may be delayed up to 4 business days after receipt of payment. • Bidder pays for the return shipping cost.